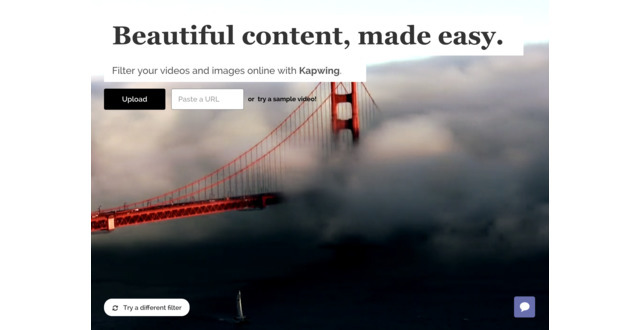 Kapwing is an online video editor for modern creators. 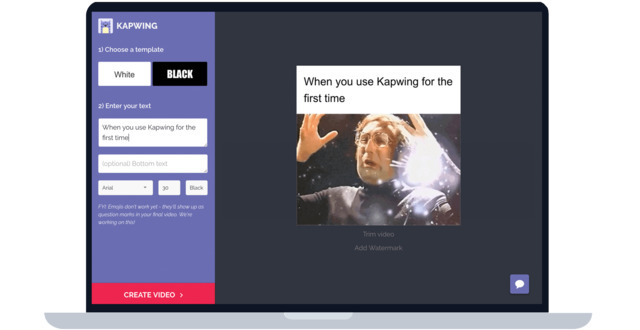 Designed for casual creators, influencers, and digital marketers with no video editing expertise, Kapwing makes producing video dramatically simpler, cheaper, and more accessible. Kapwing leverages cloud processing technology to optimize for collaboration, version control, and cross-device compatibility. Made by and for millennial, Kapwing is a modern alternative that you don't need a film school degree or high-end laptop to operate. Make memes, resize video, add subtitles, apply filters and effects, loop, trim, and more online using Kapwing. All of Kapwing tools are free to use, but we offer a premium subscription for users who want to remove the watermark. Kapwing is only a few months old, but we have thousands of videos created everyday and thousands of dollars in MRR. Founder of @KapwingApp. Formerly product @Google, MCS @Stanford. Texan, runner, feminist, developer, and ed policy nerd. Kapwing added a press mention.